Horrifyingly excessive. Those words stopped me in my tracks because they could easily have described the first time I prescribed opioids on my own. 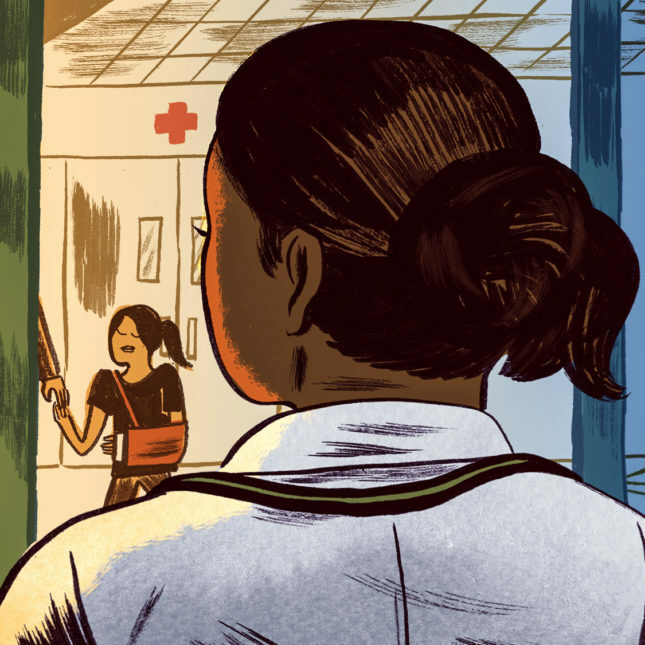 I’m starting my career as a doctor as the opioid epidemic escalates in the U.S. It puts me in the middle of wanting to honor and treat the pain my patients tell me they feel while sometimes having to count what’s in their prescription bottles to verify they are taking the prescribed dose and not more. Practicing medicine means being part of the opioid police, while, at the same time, having little guidance on how to effectively treat pain. So I worried: Was I underprescribing? Was I overprescribing? And would this trial and error ever get easier? The first time I prescribed opioids, I misread my patient’s medication list and accidentally ordered a dose that could easily have hurt her. “This seems like an unusually large dose of oxycodone,” said the inpatient pharmacist, who paged me to double check the order. My patient had a long history of opioid abuse, so I knew that she had developed a high tolerance. She needed a higher dose to manage her pain, and my intention had been to help her do that. I remember learning two things about pain in medical school. First: Pain is effectively the fifth vital sign, and needs to be taken as seriously as a spike in temperature or drop in blood pressure. Second: Each opioid medication is metabolized differently. I remember learning the relative strength of each analgesic in terms of its morphine equivalents. This was supposed to help me compare apples to apples when it came to prescribing. I logged onto her records to compare what I had ordered with what I had written down on the patient’s medication list. “Oh, my God,” I said to the pharmacist. “Yeah, this is a lot.” I profusely thanked him and lowered the dose to one I hoped would manage her pain. I didn’t catch my own mistake because tolerance felt like a moving target — I was still learning how much was too much, and, unfortunately, how little was too little. Soon after, I had a patient who was dealing with addiction and had infections in his legs that required someone to change his dressings every day. He was in such a fragile state of health that I worried about sedating him too much with opioids. Thinking about my overprescribing mistake, I decided to go with 1,000 milligrams of Tylenol, which is equivalent to two extra-strength over-the-counter tablets, hoping it would do the trick. The next morning when I made my rounds, this patient cursed at me, telling me how much pain I had caused him, asking me if I knew how it felt to have the skin peeled off my legs. I felt horrible that I caused my patient so much suffering. But he was right — I have never experienced that type of pain. I was trying to spare him the sedative and addictive effects of opioids, but in doing so, I made a choice that didn’t address his actual issue: pain. I chose Tylenol because I was in the first few weeks of my residency. I was afraid of hurting my patient. Prescribing an opioid seemed riskier than prescribing Tylenol. My training was to use morphine equivalents, but I’ve never taken morphine. It was like trying to describe the way fruit tastes relative to an apple without never having eaten an apple. This is what I mean when I say I feel like I’m stuck in the middle trying to treat a person in pain while not feeding an epidemic that often leads to death. The guidance for other illnesses is more defined — I’ve never had a heart attack, but feel confident I could treat someone based on what I’ve learned and seen. With pain management, it’s not that clear. No one responded. I was surprised. Trial and error. In managing pain, finding that middle ground is all about trying, and possibly failing. When the goal is to treat patients in ways that don’t foster addiction, I’m left wondering: How many patients’ lives have been destroyed and how many medical decisions have been questioned by a mode of practice that is such a shot in the dark? As I begin to treat psychiatric patients exclusively, I’m actually relieved that I won’t have to deal with prescribing opioids that much anymore. But, I’m aware — and sad — that the fallout of the opioid addiction epidemic is what I will face every day. So pain won’t be that far behind me. Talking to the patient is a good place to start in addition for the patient with the wound which required dressing changes you could collaborate with the wound care nurse for recommendation this can be very helpful they are usually very knowledgable and always document that this was done. 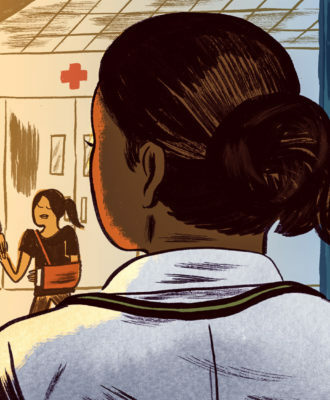 Jennifer Adaeze Okwerekwu illustrates in very moving terms, a dilemma which faces nearly all physicians in general practice and in pain management: the training in pain management which doctors receive in medical school is utterly inadequate. Interestingly, she also speaks to only one of the factors that make the concept of Morphine Milligram Equivalent Daily Dose a mythology instead of a guiding principle. As the author informs us, different opioids are metabolized in different ways – by different enzymes in the human liver. But what she leaves out — and something that the great majority of physicians simply do not know — is that each patient may ALSO metabolize a given medication differently from other patients. The culprit in this principle is genetic polymorphism — the tendency of the human body to “express” genes which govern liver enzyme function differently in one person versus another. The practical outcome of this reality is that a fraction of all people will be “normal” metabolizers – and a smaller fraction will be “hyper” metabolizers who process one or more medications so rapidly that they are unable to get lasting relief from pain. Alternately, hyper metabilizers can overdose on levels that wouldn’t bother a normal metabolizer. This is the principle that led FDA to ban use of codeine and tramadol in children. Likewise, another fraction of the patient population are “poor” metabolizers. This latter fraction will need substantially higher dose levels of a given medication than “normal” metabolizers, just to establish a high enough blood concentration to deliver effective levels of metabolites (break down products) to the brain. Again in practical terms, what this means is that there can be no single one-size-fits-all dose level which can be considered safe or effective for all patients. Dose must be tailored to EACH patient, based on observation of their response to meds. Genotype testing can also be helpful in people who don’t respond well to drug therapy. But few doctors have a CLUE from their training as to how to apply this emerging technology. Meantime there are published case reports on patients whose pain is well managed on stable doses of opioids that exceed 2500 MMED — 20 times the maximum recommended threshold in the CDC opioid prescription guidelines. And these patients are effectively at zero risk for addiction. Anti-opioid zealots refuse to examine the medical evidence for these medical facts. They would rather impose an arbitrarily low one-size-fits-all limit on the amounts of opioids that can be prescribed by any doctor — and then hound doctors out of practice who insist on actually trying to help patients who need more than this limit. In practical terms, the zealots seem perfectly happy to kill patients by under-prescribing pain relievers to people who cannot benefit from low doses. And in practical terms, that is EXACTLY what the zealots are demanding that our government enact into law. It’s already happened in multiple States and it is happening in the Veterans Administration. The zealots have turned their bogus “war on drugs” into a war against pain patients. This crap has to STOP! The CDC opioid guidelines must be withdrawn and rewritten to reflect the reality of genetic polymorphism and to delete the anti-opioid bias of partisans from organizations such as PROP. Boris, the standard treatment for trigeminal neuralgia is carbamezapine. Baclofen is sometimes added if one becomes resistant to carbamezapine. Why did you neurologist cut you off? It is ridiculous that the puritans in our society are punishing the doctors who are working to alleviate pain, and those who are suffering with chronic pain, because a select few can’t responsibly handle these drugs. Its 2% that misuse. 2%. So the 98% that need the medication and use it properly are to be denied these necessary resources because 2% can’t handle their own issues. Almost no one is dropping dead because of the proper use of lawful opioid prescriptions. Even those who are taking hydromorphone post surgery are coming out fine, on a massive scale. 1 in 500 prescription users are mixing their medications with alcohol, resulting in suppressed respiration. But the other 499 are doing just fine. Our governmental officials need to attack the problem, not merely launch a blind attack upon the drug category involved. The problem is NON-PRESCRIBED HEROIN, FENTANYL and CARFENTANYL upon which illegal users are overdosing/improperly combining, to fatal results. The illegal users weren’t created by prescription medicines. They were created by TAKING AWAY their prescribed pain medications. When you took away the option of getting Percoset from the doctor, YOU CREATED THE MARKET for illicit opioids. Let the doctors prescribe the pain meds, and you will remove the market for the unregulated drugs. Chronic pain is not going away. Its time to admit that puritanical opposition to regulated drug use is the cause of even worse problems. This is a sad statement to see being made seemingly without even a moments reflection regarding how ethically bankrupt such a status of betraying one’s ethical role as healer by allegedly serving the patient, actually taking orders from the state, and still looking our mainly for oneself is. Physician conscripted by corporate-state as surrogate meta-physician, priest, or police operative represents a perilous and deeply unethical societal practice worthy of moral scrutiny as opposed to unquestioning admiration. Such is the dubious realm of psychiatric declarations as “diagnoses”, interventions as “care”, forced dependencies as “treatment”. There is nothing that alleviates pain as well as an opiate medication. Mankind has been using derivatives of the poppy plant since the beginning of our evolution. All this hysterical propaganda is doing nothing whatsoever to curtail drug overdoses and is only serving to cause horrendous suffering for people who are in pain every minute, of every hour, of every day. This is inhumane. We dont let our pets suffer like this. Opiate medications and the patients who use them in order to function are being forced to endure relentless pain for no valid reason. Wait until its your mother or father or child dying in agony, screaming out in pain until their last breath. God forbid some compassionate doctor prescribes an opiate pain medication. Surely all this suffering will cause drug addicts to stop abusing drugs and overdosing, right? I beg to differ. One has to wonder why someone who is not a surgeon, an oncologist, or a pain management specialist would be prescribing opioids for patients who are long-term opioid users. The agony of dressing changes. My point is that oncologists and pain management specialists would know that opioids increase a patient’s pain after long-term use (over 3 months) . Surgeons would have no reason to prescribe opioids for long-term use. The author is not one of these specialists, and she is prescribing opioids. It’s sad that some people are so addicted that they would beg for medication that would increase their pain. Wound dressing changes can hurt like hell, but opioids/opiates won’t help too much with the immediate sharp temporary pain of a wound change. If you don’t have severe pain while your dressing is on, you don’t need that kind of strong pain killer. But that’s my opinion, and your patient’s pain perception is their own and not what you nor I feel it should be. Ask for a wound care specialist or ask your attendee if you’re not certain what to do. I agree with the challenge physicians face. But I’m concerned: did the author really look to twitter for recommendations on pain management? As an intern she has both a resident as a supervisor and an attending. Twitter (and wikipedia) should never be used for medical advice including the prescribing of medications. As both a registered nurse and longtime chronic pain patient, I commend this first year resident on her compassion for patients experiencing severe pain, and her self awareness that she has no idea whatever what it’s like to live with such a condition. Also, it was a relief to finally read an article about this topic that actually used the term “pain management”, a concept that’s usually ignored, just as patients suffering from chronic pain, who have long practiced pain management (NOT abused their medications!) are generally ignored, instead focusing on those who were prescribed opioids for, e.g. broken bones or other post op conditions, were not taught appropriate techniques, and developed addictions. However, even though the doctor did refer to the subject of tolerance, it was not further explored and that patient was still characterized as an abuser. Speaking for myself, as well as the majority of my fellow long term pain patients, I have never developed an addiction once in more than 37 years overall of practicing appropriate pain management for a wide array of various opiates, including injectables. When the pain eased and I no longer required medication, I weaned myself off. That’s the difference between tolerance and addiction: tolerance is somatic and happens to everyone, but can be easily handled. Addiction is mental. Not everyone who takes opioid drugs, even long term in high doses will develop addictions. And while I would never minimize the tragedy of the lives destroyed by addiction and overdoses, withholding appropriate pain relief from those of us who cannot function without it is simply cruel. I am deeply offended by some of these so called “experts” who state with pompous certainty that opioids do not relieve chronic pain. At least this intern knows enough to admit she doesn’t know enough. Would that others did. There is no such thing as an opioid epidemic. Please stop spreading falsehoods! Don’t they teach critical thinking in med school?